The drop down menu has many options. The order in which the sizes are written is very important. On the physical adapter. The 14MM Female is the joint that is connecting to the pipe. 14MM Male is the joint that you would put your nail on. 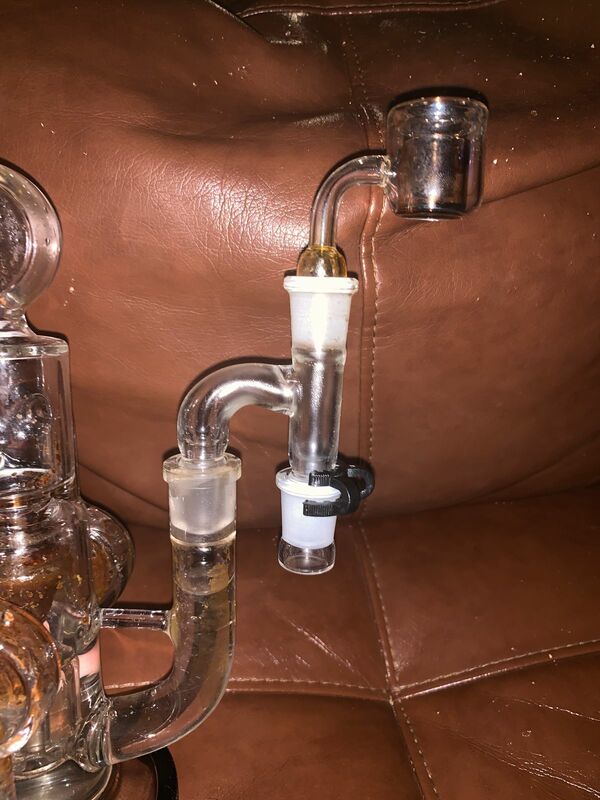 - So if you ordered the 14MM Female to 14MM Male this means that the rig your connecting to has a 14MM Male joint. Item is perfect and just as described!! 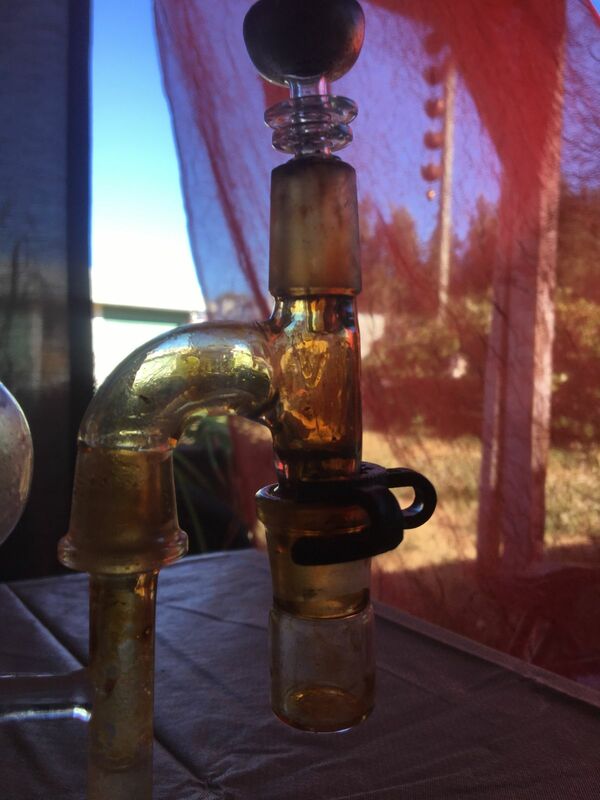 I wouldn't mind it was just a fixed tube for the reclaim collecting instead of a removable dish, but it does work well! Great reclaimer, had this for the better part of a year now and emptied out the container with ease several times. Simplest and most convenient way to reclaim! The product was great, it caught grams on grams of reclaim and filled up past the bucket. The reclaim it caught has no water and doesn’t pop at all. Good fitment and it feels good. I’ve heated it up until about half of it was red hot and it still didn’t break so.